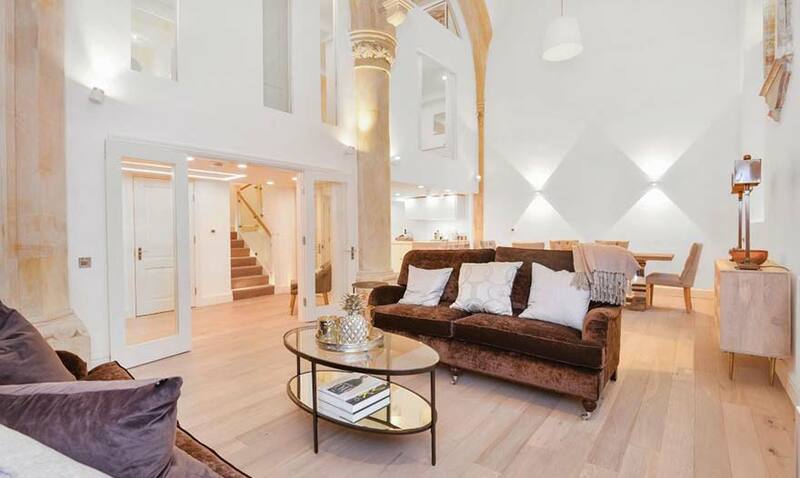 Simply stunning barn conversion, that has been refurbished to an exacting standard. Set in a wonderfully rural position that is within a few minutes drive of Farnham, this beautifully appointed property offers light and spacious accommodation over two floors. The kitchen/dining room is stylish and spacious, ideal for entertaining and is complimented by a large, triple aspect sitting room with views over open countryside. Four double bedrooms are located on the first floor, two with en-suite shower rooms, as well as a family bathroom. Gardens surround the property, along with a patio area for garden furniture and there is ample off road parking. The property further benefits from an outside store.